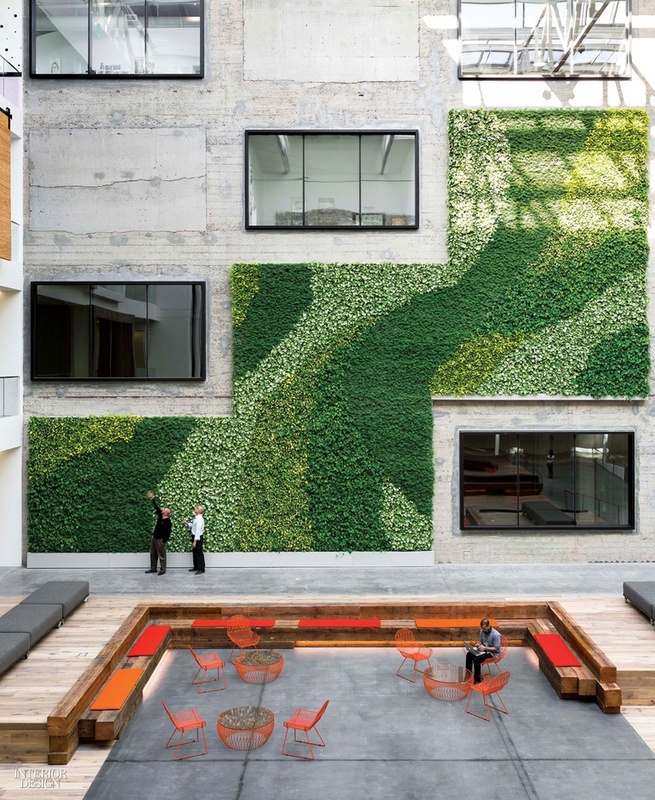 Lush living walls provide these projects with a welcome breath of fresh air. 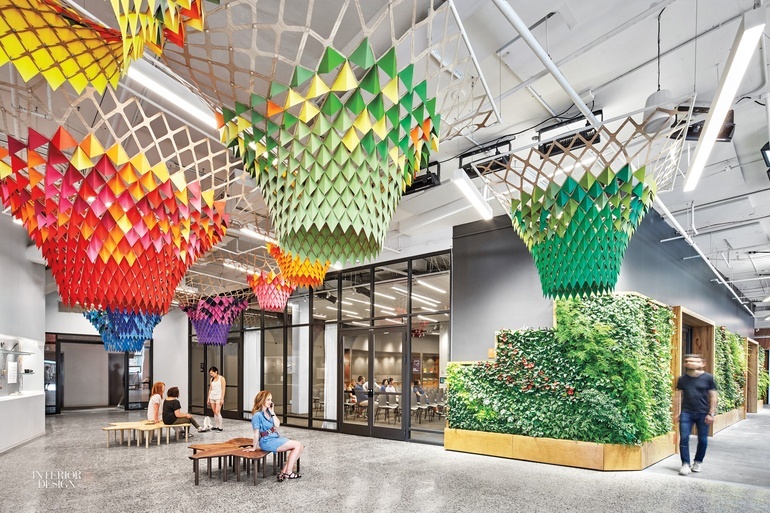 Coders tend to stay rooted at dedicated maple-topped workstations, but at Etsy’s Brooklyn headquarters by Gensler, seemingly everyone else is roving. 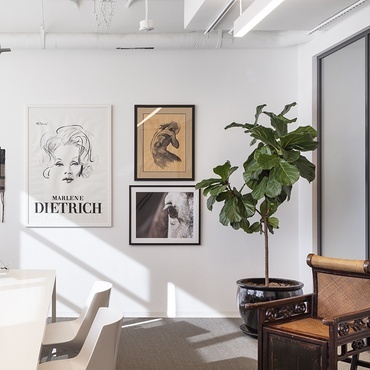 You’ll find staffers laptopping at communal tables in the pantries that supplement the Eatsy cafeteria, having confabs in sun-drenched areas alongside lush plant walls, and crunching spreadsheets in the garden. 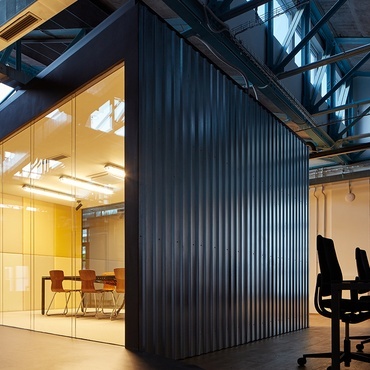 Green walls tend to backdrop the gallery space, where modular walnut stools and In.Sek Design pendants cluster nearby. 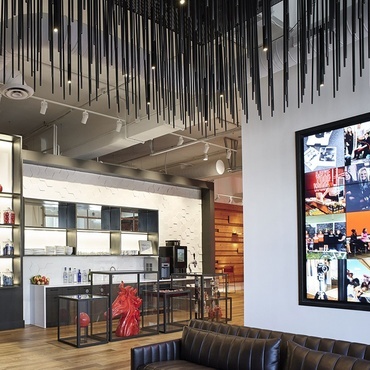 Taking over the entire third level of LinkedIn’s San Francisco headquarters by IA Interior Architects is the cafeteria, where menus, global in scope, are offered gratis for breakfast, lunch, and the occasional dinner. However, that’s not all for food, wellness, and chillaxing. Meriting a separate shout-out are the amenities up on 17. 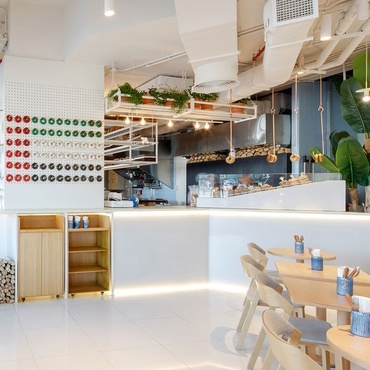 A juice bar, the Pulse, serves restorative concoctions beneath a mural rendered in different shades of green moss, and a glassed-in corner lounge feels like it’s outside. 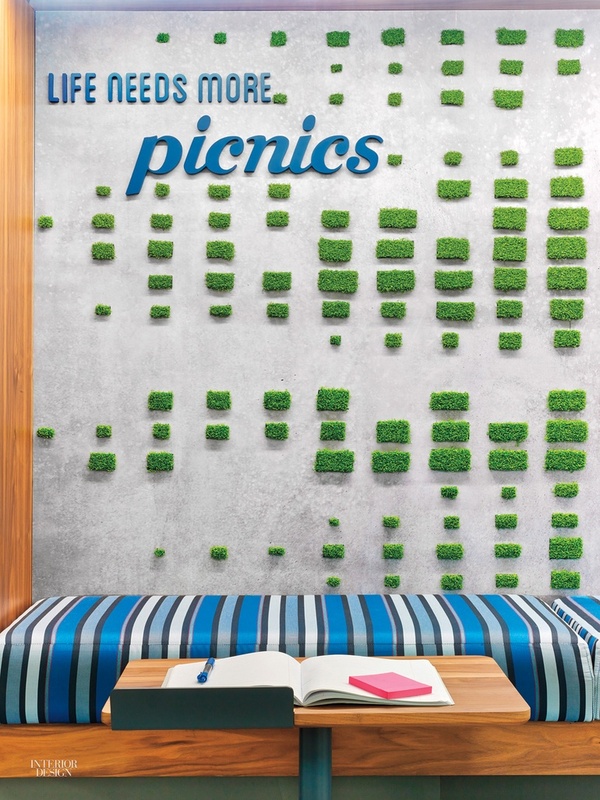 The city’s parks get their due with a wall composed of squares of artificial turf, meant for posting selfies. 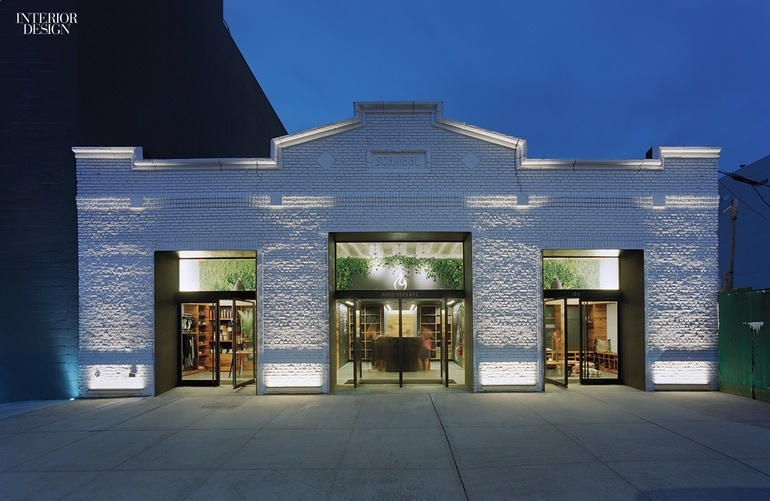 From the outside, Modo Yoga is pure Williamsburg. 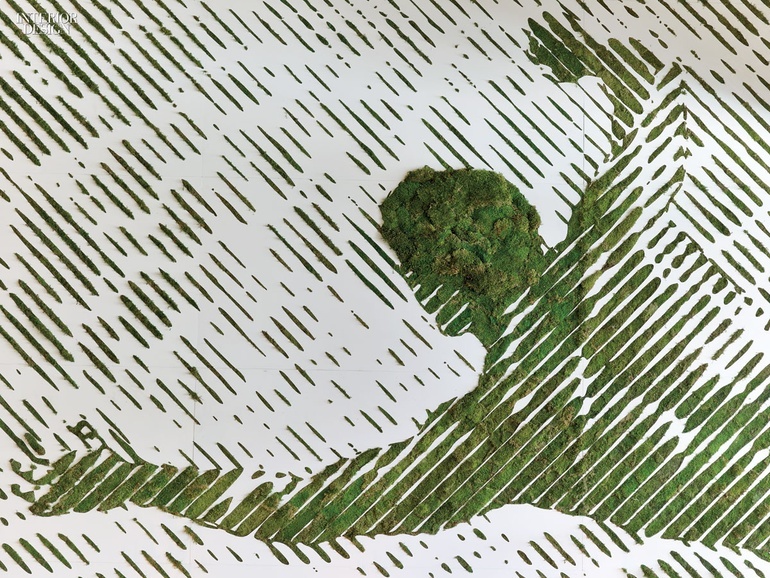 Inside, it’s universal Zen. 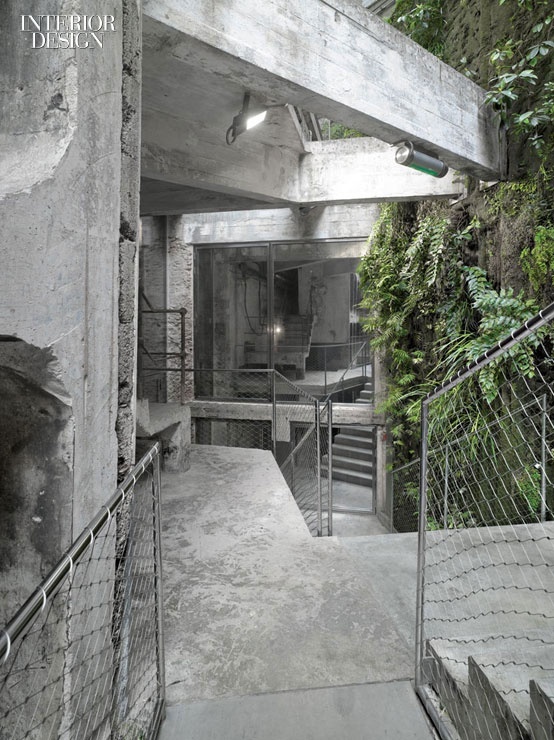 That’s due to DXA Studio partners Wayne Norbeck and Jordan Rogove, who transformed the former 1900’s light manufacturing plant into a 6,000-square-foot urban oasis of hot yoga and sustainability. 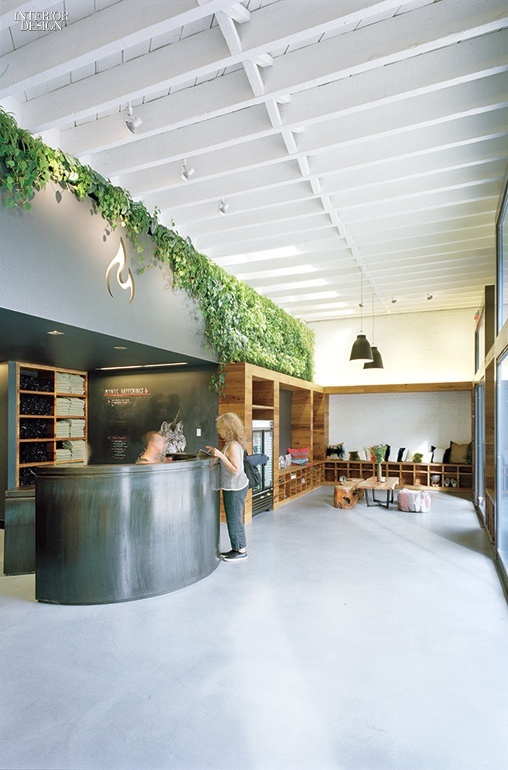 Upon entry, visitors encounter a blackened steel reception desk, a retail area outfitted in shelves of reclaimed mushroom wood, a green wall, and two 60-person skylit studios with cork flooring. 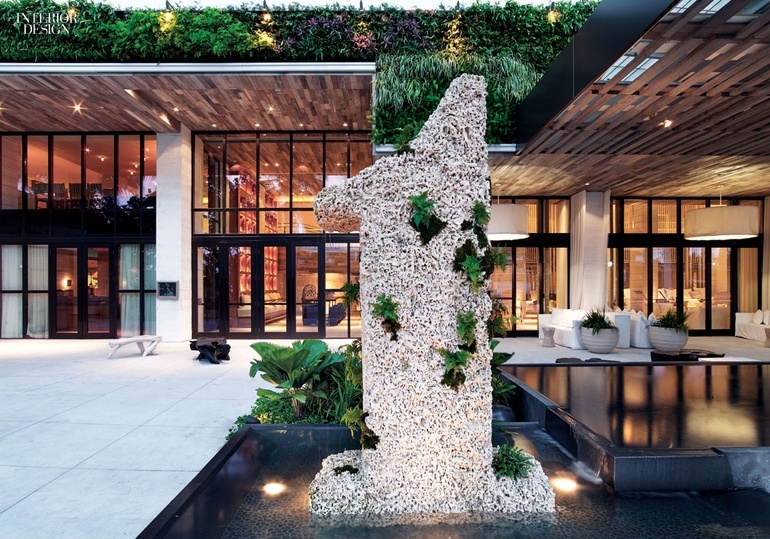 “From the second floor down, we gutted everything, even reconfiguring the street presence,” Gray Davis of Meyer Davis Studio says about the 1 Hotel Miami, a resort that stretches a full city block with 600 feet of Atlantic Ocean beachfront. 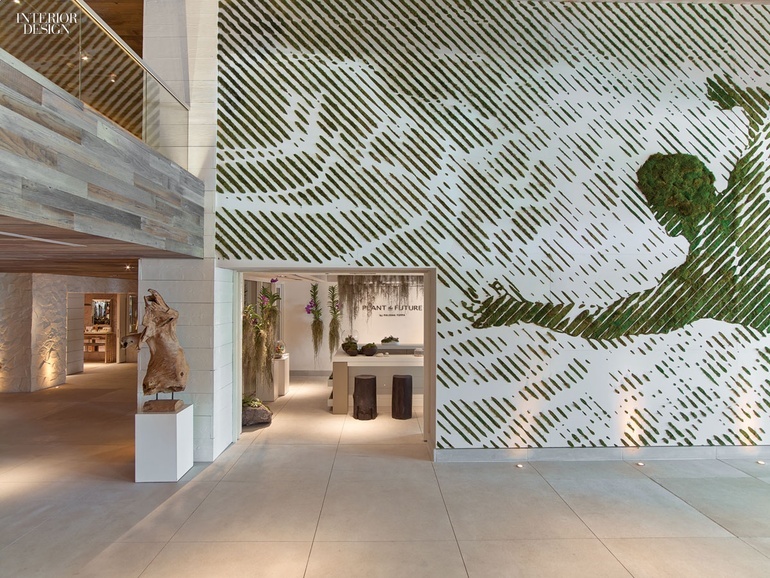 On the ground floor, guests immediately encounter the property’s pièce de résistance—the lobby’s 20-by-30-foot mural of a swimmer, rendered in live moss growing through apertures in a white-painted wall. 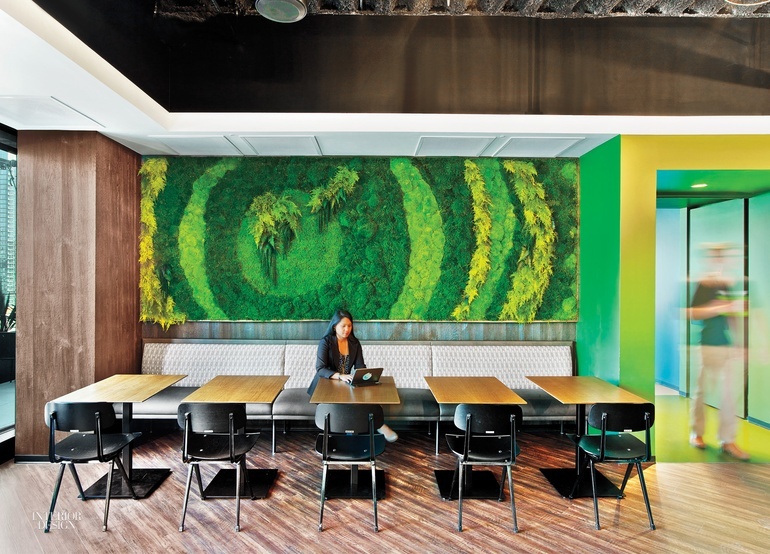 The architects collaborated with Plant the Future and arts collective 2Alas to make the green wall possible. 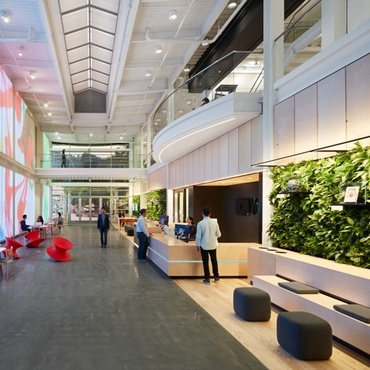 888 Brannan Street’s atrium lobby is like an urban pocket park—as befits a project aiming for LEED Gold certification. 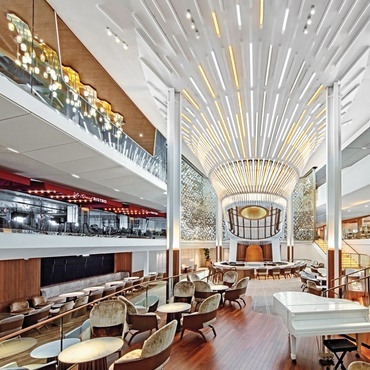 “We unwrapped everything, took it back to the bones, and made a quiet background,” Gensler’s Collin Burry says. 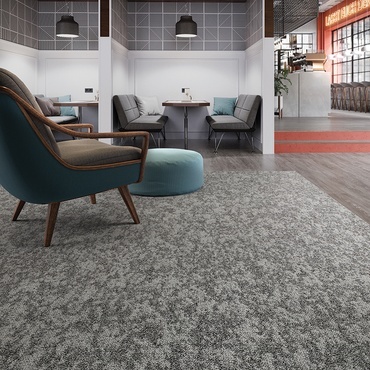 The primary asset for the office occupants is the common space. 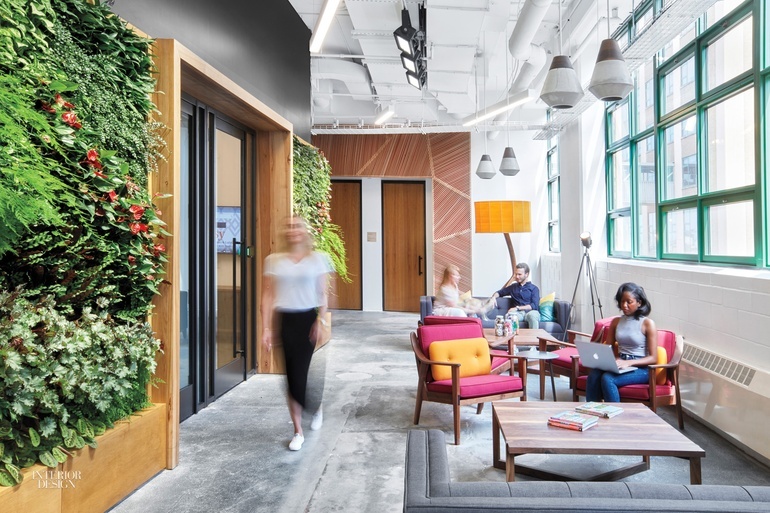 A plant wall ascends in stepped segments, segueing to wood-wrapped hovering meeting rooms of anchor tenant Airbnb. 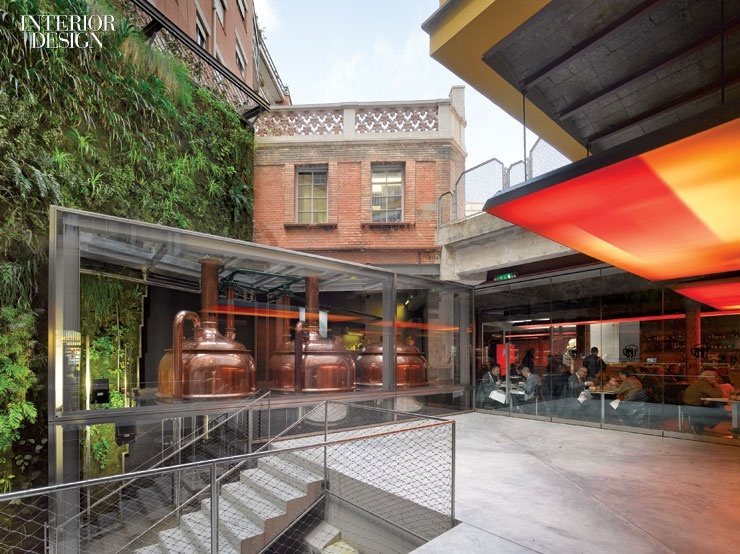 In the courtyard of Ateliers Jean Nouvel’s Cervezas Moritz brewery, fissured brick backdrops a plant wall by Patrick Blanc—who also designed the vertical gardens of Nouvel’s Musée du Quai Branly in Paris. 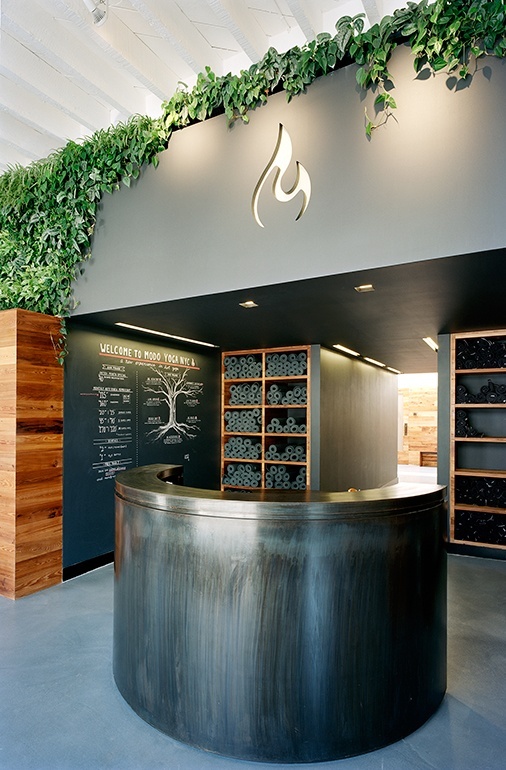 The plant-brick combo represents a mingling of nature with industry, just like the process of making beer. 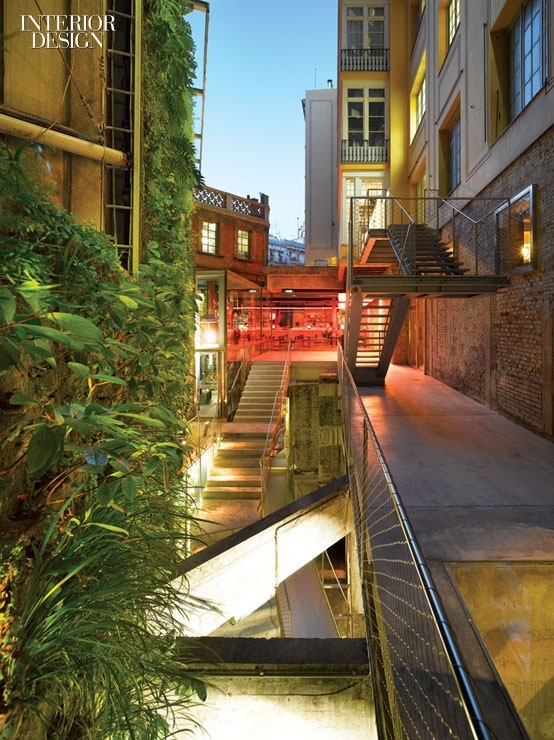 Simultaneously, the plants—several species in total—are a living complement to the stone representations of barley and hops carved into the facade. 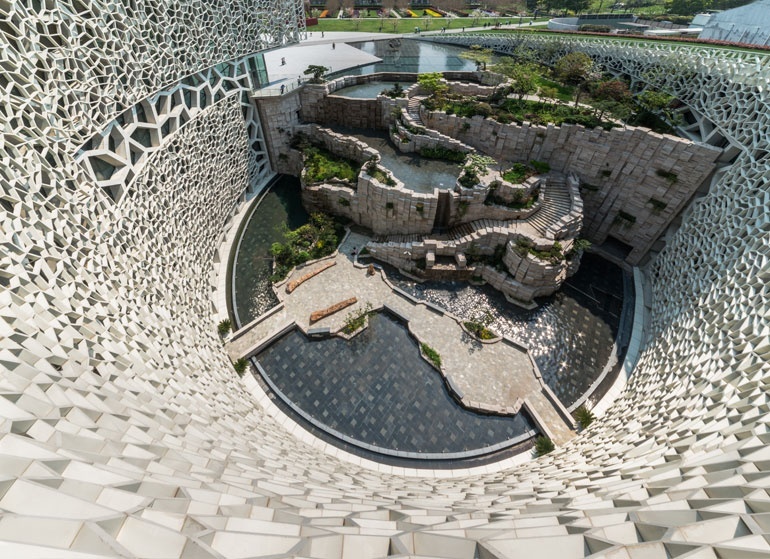 The Shanghai Natural History Museum by Perkins + Will, one of the city’s most prolific, underscores a renewed focus on intimately sized outdoor spaces and draws direct inspiration from nature. 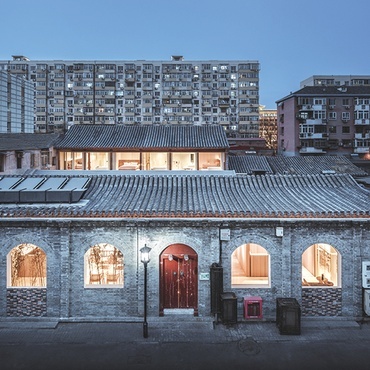 Situated downtown, the museum takes an aesthetic cue from traditional Chinese gardens and the curved geometry of the nautilus shell. 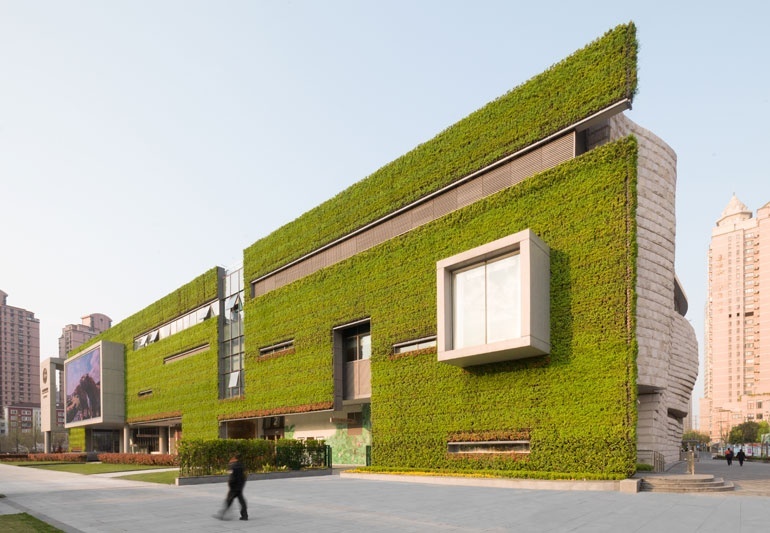 The bioclimatic building features an intelligent outer skin that optimizes daylight while reducing solar gain, as well as energy features that double as insightful museum exhibits.